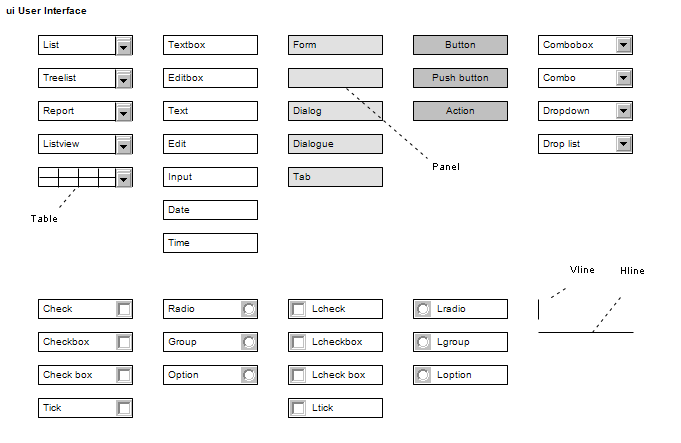 A UI Control element represents a user interface control element (such as an edit box). 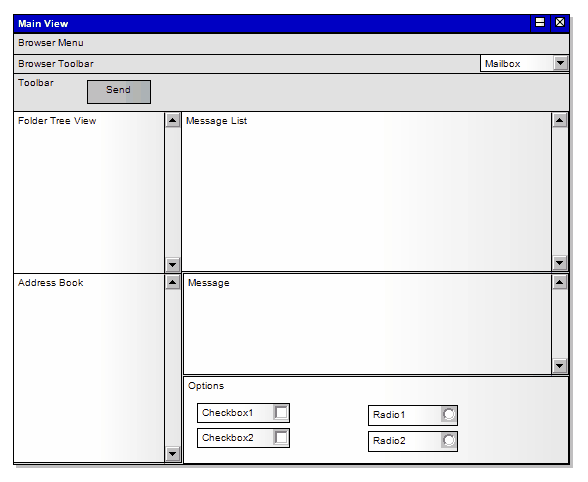 It is used for capturing the components of a screen layout and requirements in a Custom or User Interface diagram. You can also extend the available icons by selecting other stereotypes in the 'UI Control Element Properties' dialog. The full set of available stereotypes is shown here; type or select the text in the 'Stereotype' field to create the corresponding icon.